The internal construction of the TI-5030 is typical for a Japanese calculator: Only few components fitted without any screws in the bottom shell of the housing. The printed circuit board (PCB) reveals the true manufacturer of this calculator: Toshiba Corporation. The successful TI-5032 line was manufactured from 1983 till 1988 when the TI-5029 and TI-5033 were introduced. 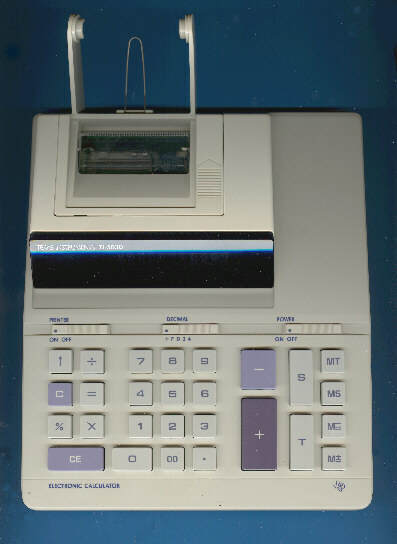 The TI-5030 is featured in the Texas Instruments Incorporated leaflet CL-199M dated 1983.